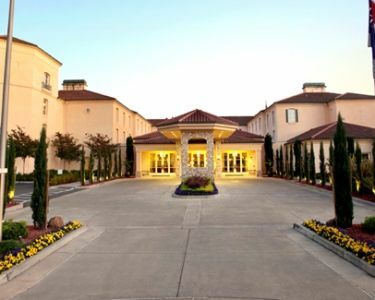 The River Terrace Inn offers affordable luxury and home-style service to wine lovers, vacationers, families and groups. This intimate California getaway offers couples, spa-lovers and honeymooners. Enjoy the artisan-inspired cuisine of Carneros and visit award-winning wineries and vineyards located nearby. Set in a scenic area known for its wineries, guests can visit Napa and Sonoma Wine Country. Head about an hour northeast of San Francisco, and you'll find the beautiful vine-covered hillsides and warm colors of wine country. One of California's most popular destinations, the twin valleys of Napa Valley/Sonoma are home to nearly 400 wineries. Rent a bicycle and explore the countryside or taste the region's varietals with a wine tasting tour. Napa Valley/Sonoma restaurants are some of the best in the country with fresh, locally sourced ingredients and brilliant culinary minds. Pamper yourself at a wine-country spa with almost any treatment you could want, or enjoy an outdoor adventure. 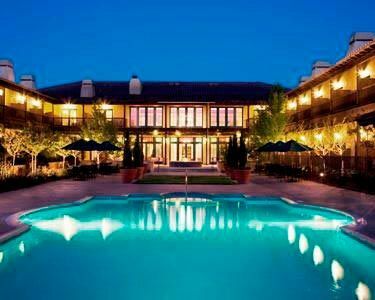 Napa Valley/Sonoma is a romantic and exciting destination with something for everyone. Please note: flight service for Napa Valley/Sonoma vacations is into San Francisco or Oakland, California.